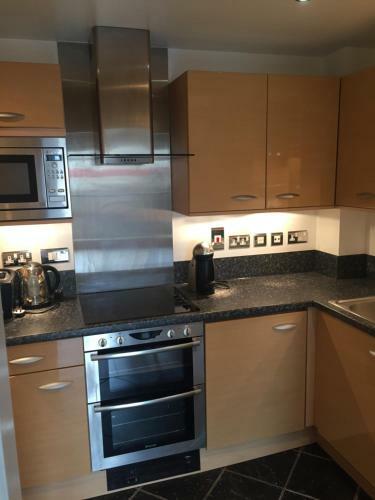 Great location for getting into London centre or exploring the local area. We spent a lovely afternoon at Bushy Park and Hampton Court and had a boat trip back to Kingston as well as a couple of days in London Centre, great transport links on the train and underground. Lovely apartment and very comfortable, Sam was very helpful and arranged an early check in for us. Will definitely return and would recommend. This apartment is spacious, warm, well equipped and very central. Sam met us at the property at the time agreed and gave us a thorough briefing. There are sufficient pans and dishes to cook a proper meal. There are basics in the cupboard such as oil, salt and pepper etc which is a real bonus. It is a 2 minute walk to the railway station which gives easy access to London and local attractions. Strawberry Hill is only 3 stops away and Twickenham 4 stops away. Despite being so central, the flat is remarkably quiet with little traffic noise. It is an easy walk to the riverside. very nice apartment very friendly efficient host. not a negative just something for other people to know there is no reception so if going to arrive early give the people a phone. they will be there as quick as they possibly can - which our chap was. Really flexible accommodation, well presented and in a good central location. Close to Kingston shops and transport (rail and buses). So very easy to get around London from here. Kingston is so nice in terms of its centre and the Thames River walks. on both directions. Great location and handy for the railway station and buses. The appartment itself was a great size and the two bathrooms were most welcome given it was very hot while we were there! Our host was also very helpful. Sam met us at the property with a smile and did not complain, even though we were a bit early. He explained all the facilities. In particular when leaving early how to leave the keys The appartment was better than we could have imagined and better than the photographs. There were two bedrooms, a bathroom and one toilet/shower ensuite. We could have had friends stay. We will book this every year from now now on. I am worried to tell you how good it is in case we can't book it again in future. Better than the past four years when we have stayed in Kingston upon Thames. Local to shops, supermarket everything. Lock in a great price for The Regent Apartment Kingston Central - rated 9.4 by recent guests. 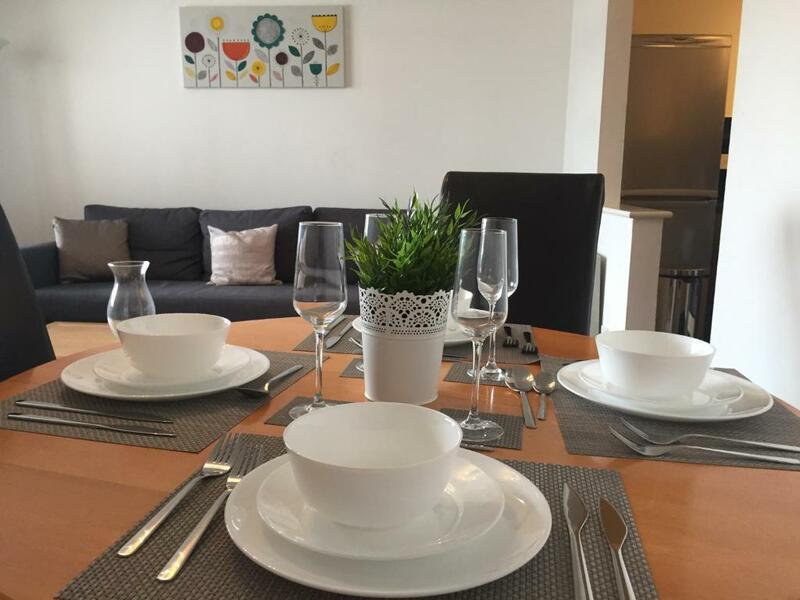 Boasting garden views, The Regent Apartment Kingston Central is located in Kingston upon Thames, around 3.1 miles from Hampton Court Palace. This apartment also has free WiFi. This apartment is equipped with 2 bedrooms, a fully equipped kitchen, a dining area and a flat-screen TV. The property also has 2 bathrooms equipped with a bath, while free toiletries and a hair dryer are also provided. Popular points of interest near the apartment include Surrey County Hall, Kingston upon Thames Crown Court and Kingston University. The nearest airport is London Heathrow Airport, 11.2 miles from the property. Hampton Wick is a great choice for travellers interested in shopping, convenient public transport and food. This property also has one of the best-rated locations in Kingston upon Thames! Guests are happier about it compared to other properties in the area. 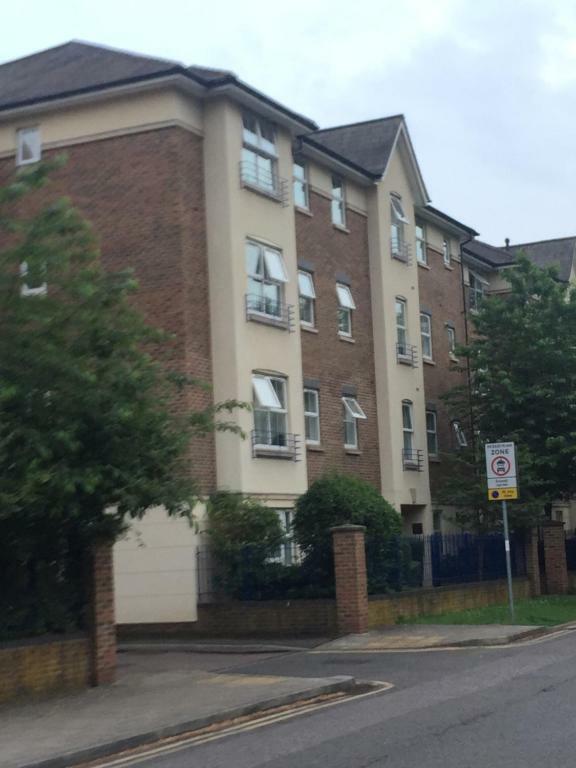 This property is also rated for the best value in Kingston upon Thames! Guests are getting more for their money when compared to other properties in this city. 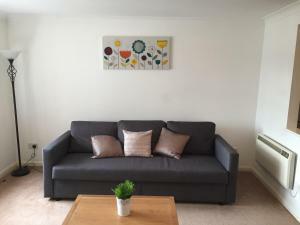 The Regent Apartment Kingston Central has been welcoming Booking.com guests since 2 Aug 2017. When would you like to stay at The Regent Apartment Kingston Central? The apartment is in a great location and has good space, with two bedrooms and two bathrooms (one en-suite). The location is right in the centre of Kingston, however, its a quiet little enclave and there is little noise. Its less than 5 minutes walk to the supermarket, the cinema or some of the wonderful restaurants and bars that Kingston has to offer. Its a really nice neighbourhood with lots of great facilities and things to do, right on the doorstep. If its food or drink that interests you the area has lots to offer. If you want to explore then there is Richmond Park and Bushy Park with its wild deer roaming free and lots of other wildlife. For culture you can visit Hampton Court Palace the home of Henry 8th or Windsor Castle as well. Central London is accessible by train in less than 30 minutes. House rules The Regent Apartment Kingston Central takes special requests - add in the next step! A damage deposit of GBP100 is required 14 days before arrival. This deposit is fully refundable 7 days after check-out as long as there has been no damage to the property. The Regent Apartment Kingston Central accepts these cards and reserves the right to temporarily hold an amount prior to arrival. There is strictly no-smoking at the property. Please inform The Regent Apartment Kingston Central in advance of your expected arrival time. You can use the Special Requests box when booking, or contact the property directly with the contact details provided in your confirmation. A damage deposit of GBP 100 is required. The host charges this 14 days before arrival. This will be collected by credit card. You should be reimbursed within 7 days of check-out. Your deposit will be refunded in full via credit card, subject to an inspection of the property. It was not until we received the 8 page contract just before we travelled that we realised there was a £20 fee for the car parking on site. It would have been preferable for this to have been highlighted on the booking.com website. £100 deposit is taken in advance from the credit card which I suppose is understandable and which was mentioned from the outset . There is a bit of city noise on Fridays nights but that was not an issue for us. We still slept well! The apartment is located on a busy junction so it was quite noisy at times. I think that for the heat wave a fan would have been superb, but the heat wave was not their fault!! The flat sleeps 6 comfortabky but only has 3 dining chairs so mot possible to eat all together arund the table. The flat was spotlessly clean with an abundance of high quality bed linen and towels. Parking on site a bonus. Agents very professional providing timely and pertinent information. An absolute gem!! Excellent communication, host, apartment, location and value. Can't be faulted. Clean and spacious, brilliant accommodation.